seesaw. : giveaway: indian v. indian. very pretty..though i never win..do enter me as there's always a first time !! oh my, i love this bag! Wow, I love that bag! I have a serious soft spot for canvas bags (uh, I was faced with just how many I own when I moved a couple of weeks ago) and paired with Pendelton blankets... come on! gorgeous bag! consider me entered! So beautiful! Hope I win! Ah, love that bag! (and desperately needing a tote). These totes are great. Love them. Love this tote! Perfect for spring! Love the bag! What a neat combination of textures! Kamoore2224 at aol dot com. Beautiful! The combination is done so tastefully! oh! thank you for this posting, how lovely, i've been looking for a tote. i will check them out at the shop's site as well. I love the colour and texture combinations. This is so unique and adorable! Thanks for the opportunity! nom nom nom. me wants to keep my cookies and other picnic things in that tote! Oh gosh, I've been coveting these totes on etsy for a bit. And the teepee pillows.....swoooon. you know i love this! southwest textiles meets urban living!! exquisite! i'd really love one! The stripes give the bags such a cute, subtle touch. I love Pendelton blankets, and I happen to love totes too. What a great combo. What a beautiful tote! Love the soothing colors. So fresh and so clean, these totes. wow. I LOVE finding an awesome new etsy store. Noelle's bag are so lovely. And those blanket sweater. Oh my. Love it!! And I need a new tote bag this season. 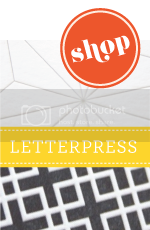 Such a lovely tote and shop! Neat! Perfect for a summer concert or festival. i have a major canvas tote obsession...and this one looks so perfect! That looks like a very sturdy, well-made bag. I love the blanket design!! WOO WOO over HERE! I would lOVE to use this tote and carry ALL of my stuff in! Such a lovely shop! This bag is adorable. I LOVE it! Thanks for the entry! Oh I need a tote. How exciting. i LOVE the combination of the wool and canvas. this would be a great bag for the summer. What a cool shop! I'd love to win one of their cool totes! What a great combination! I would use it for (a) work (b) the weekend (c) the beach (d) getting groceries. Probably all of the above-- so many possibilities! Thanks for the link to their etsy account, I will be browsing their page for sure. I think I need me one of these. They are so cute! i promise i would be such a good mother to this bag! i would proudly show her off with love and smiles! now i shall tweet it! was just browsing other totes online, but i'd love to have such a unique one instead! love this bag with the gray stripes. Awesome tote! I love them! LOVE IT!!! I'm a huge fan of totes! tweeted it! Thanks for all your daily inspiration...I heart your blog! i love the pendleton pocket, so nice! so perfect for the beach this summer! her bags are incredible! the choice of colors is so nicely made. so dreamy. thanks for the chance! I love Pendleton! The bags are fantastic! Yes! This giveaway is pretty amazing. I love Pendleton's and all the creative ways they're being used these days. This is amazing! I just need a beautiful bag right now. :) Perfect. oh man, awesome giveaway ! so much aztec all over brooklyn and portland. need to bring more to DC. very fun - and functional! great tote. love it. thanks for a chance to win! awesome tote! I bought a scarf like the one inside the tote and I love it so much! I discovered it through your blog, so helpful to buy handmade items. Perfect to tote around this spring/summer season. Hope I'll be carrying it! 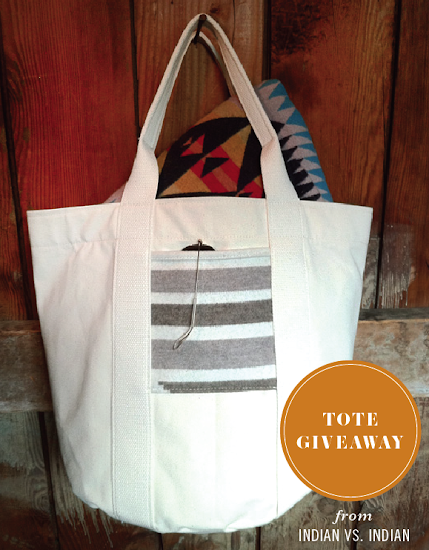 For a frequent tote bag carrier, this giveaway is a gift from heaven! Little beauties! This would make the perfect summer work tote for me! Great giveaway; thanks seesaw! xo and good luck all! super cute! i'm in the market for a new bag- the pendleton blakent detail takes these bags over the top. awesome. wow- I love love love this bag!